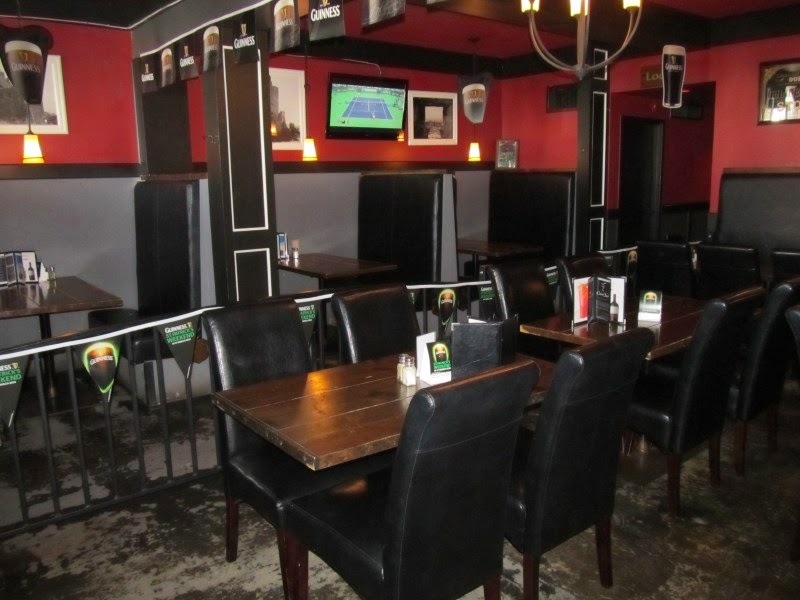 It’s worth the trip – to an English pub in Steinbach! I like so many things about Sawney Beans. 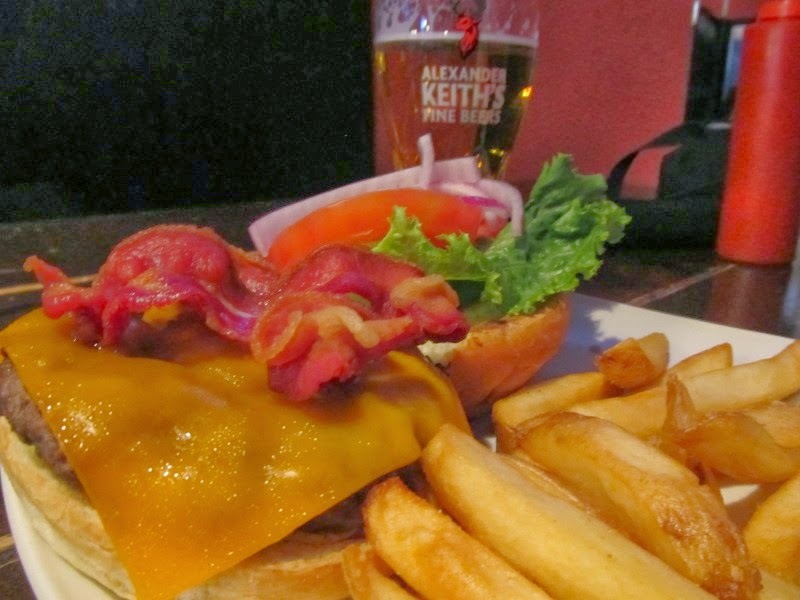 It’s a British pub in the middle of German - Mennonite country; it’s named after a mythical Scottish cannibal; it’s a tavern in a city that only recently repealed prohibition - and they make a great burger! Stony Brook, a.k.a. Steinbach, the third largest city in Manitoba, voted to end liquor prohibition in 2003 (the rest of the province ended it in 1921). Only a dining room license was permitted though. In October 2011, at the request of Sawney Beans, voters agreed to allow cocktail lounge liquor licenses as well. As a consequence of Manitoba’s archaic liquor laws, Sawney Beans has a decorative fence blocking the lounge from the dining room licensed area. Hopefully the obstruction our server had to walk around to reach other customers comes down when liquor license reforms are effected April 1. It’s a comfortable space with high back booths that are like little private rooms. 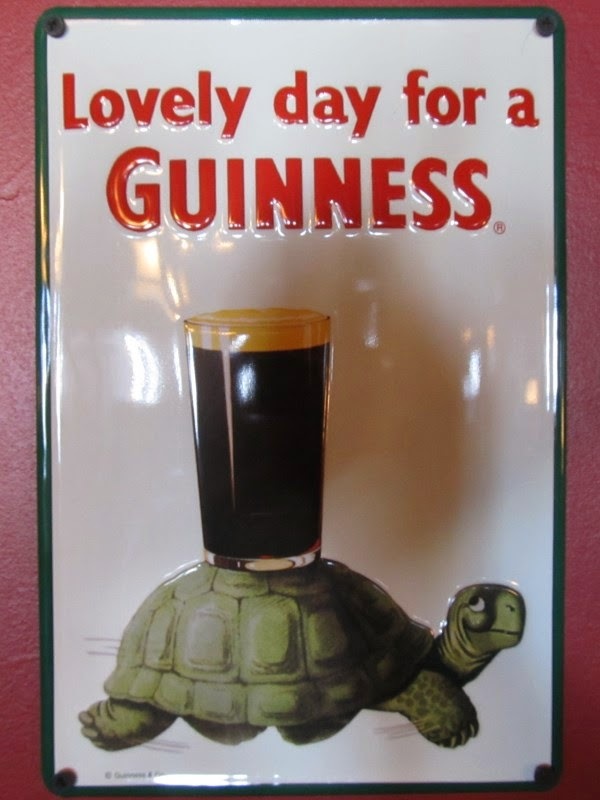 There’s lots of black Naugahyde, dark wood and red walls covered in banners, golf clubs, dartboards, and of course, Guinness collectibles. 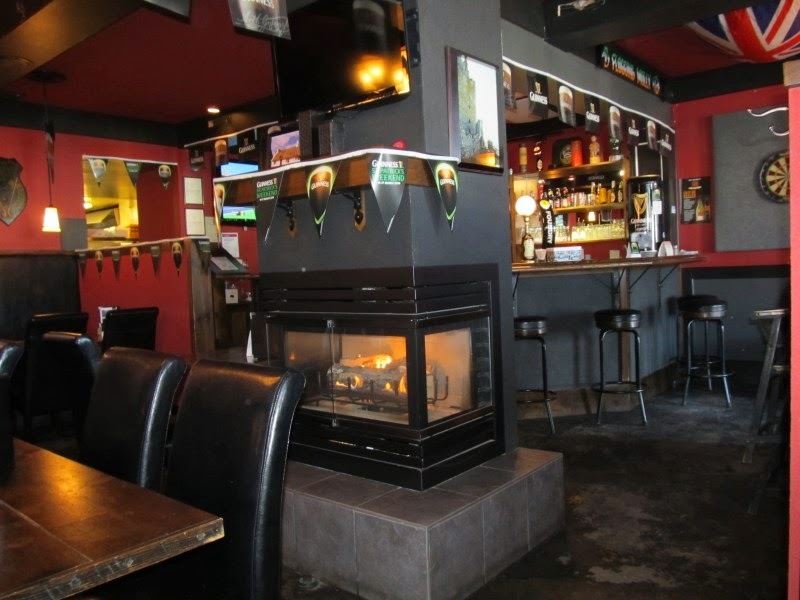 It feels like a cozy pub. The ambient music wasn't traditional – maybe it was the mid afternoon time we choose to visit – but Karen and I enjoyed it – mainly alternative and indie. Our waitress Andrea was great. She was quick, clever and smiling. 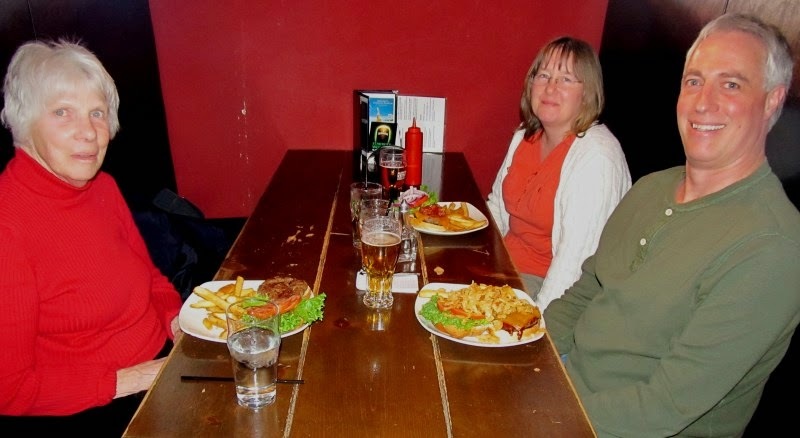 The menu proclaimed “Beer, Burger & Chips All Day - Every Day for $17.99” and that was just the ticket for Karen and me. The BBC special included a fancy burger as well as the Alexander Keith’s we ordered. Bonus points for not making us drink a Bud Light. Take note Winnipeg! Jackie Bakx started the restaurant 7 years ago, but recently sold the pub to brothers and Mark and James who prepared the delicious burgers for us today. My Gourmet BBQ Burger came with *lots* of crispy onion bits. They completely smothered the open faced burger. I was very happy. I used both hands to fold the top bun over the pile, letting all the onions form a cascading layer over the patty, and gave it a good squish. 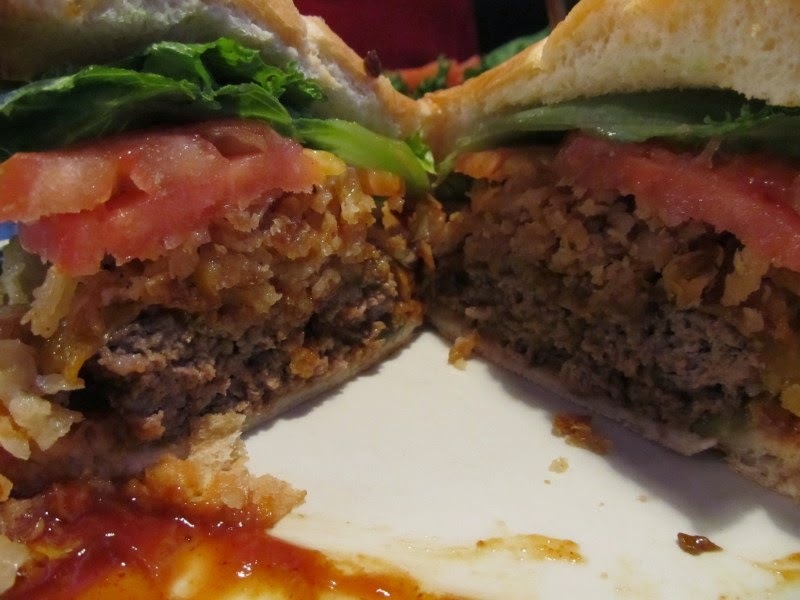 Even so, the sweet, crunchy, onion layer was as thick as the hefty patty. When I took my first bite, the crunchy texture was matched by the firm, but not hard, patty. It had been cooked thoroughly on the grill and the fat melted out. The BBQ sauce had great zing, there was a lot, and I liked it. The burger was messy. Both Karen and I needed a change of clothes when we were done. 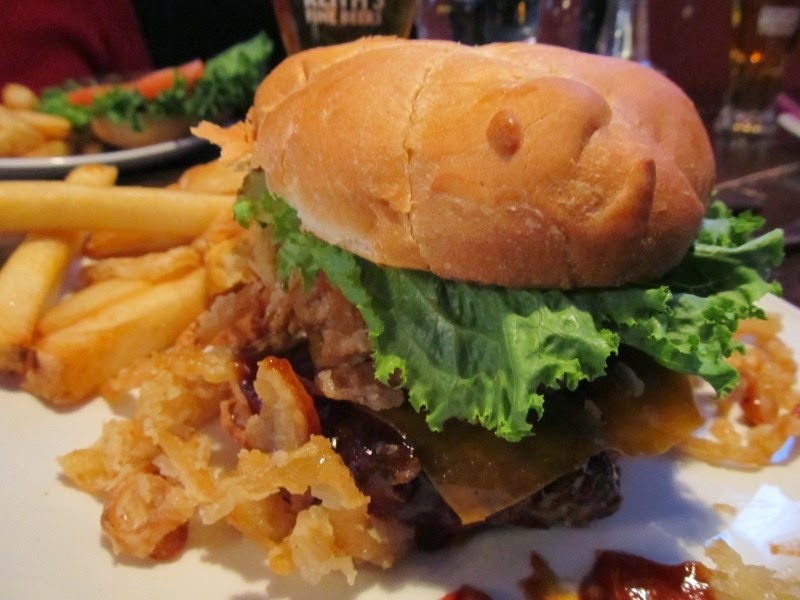 The Kaiser-like bun was an easy bite if perhaps a little overwhelmed by the magnificence of the burger creation. Much like how my AC/DC t-shirt from high school attempts to cover my belly now. The nice fresh leaf lettuce did a good job of adding some green without making it slippery; the tomato was plentiful and reasonably ripe for March (it wasn't quite orange). 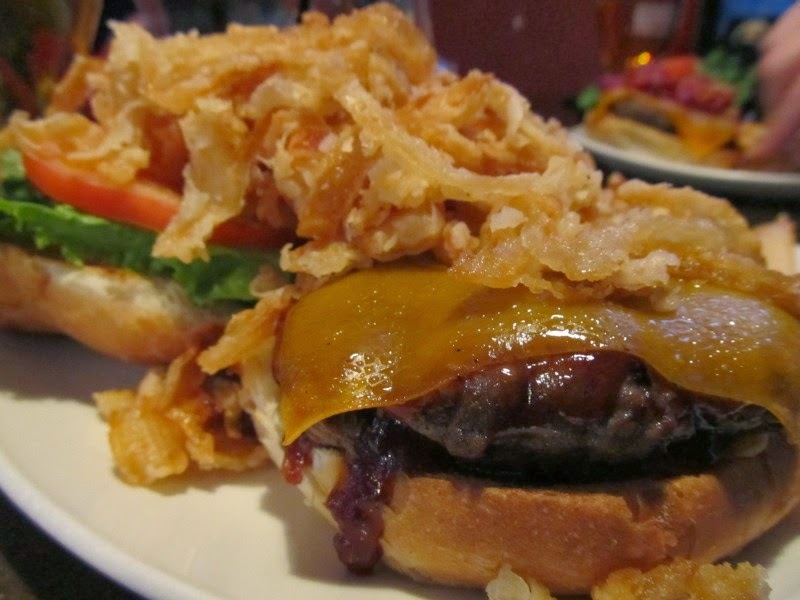 Karen opted for the Bacon Cheeseburger which came with two big slices of crispy bacon and a nice slice of real cheddar. The burger had good flavour balance and she could taste all the layers. My mom and Karen thought the patty was straight up beef. Mom had a plain patty with mustard, so she got to taste the patty on its own. 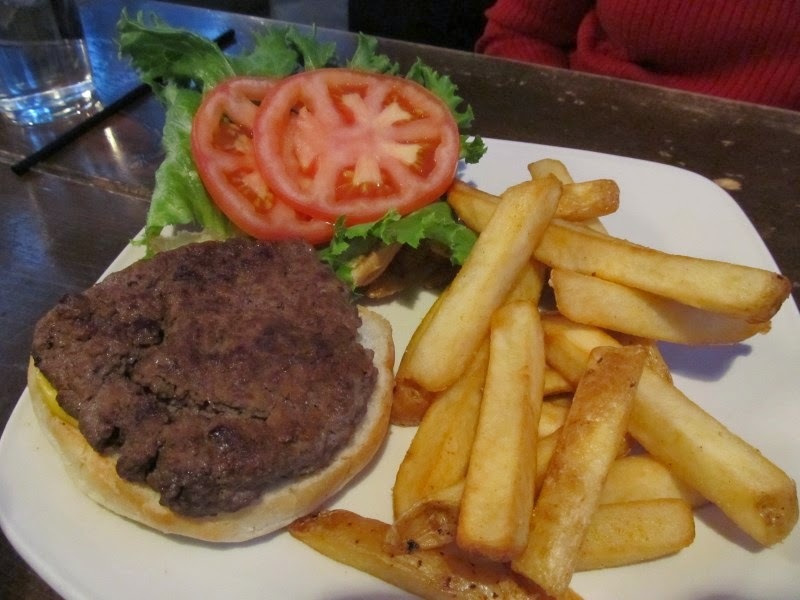 We all loved the fries – large cut, crispy on the outside, piping hot and soft the inside. It was a reasonable sized serving and not too salty. I doused mine with malt vinegar, which I think is a requirement when in a British pub. Even the bill was a treat; it came with Ovation chocolates! I’m looking forward to coming back on Guy Fawkes Night and having the London’s Burning Burger. I enjoyed my latest trip to Sawney Beans, always have great food there. Really appreciate learning the history behind the name. Strange and facinating!